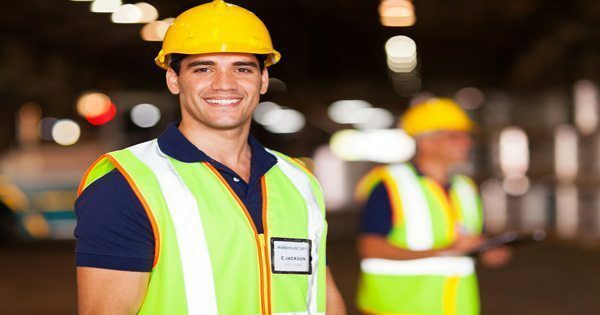 A broad number of construction or industrial accidents can result in serious and severe personal injuries, sometimes causing worse outcomes, involving wrongful death lawsuits. Because industrialized work settings are associated with the use of heavy equipment and machinery, even the slightest disregard for workplace safety can result in personal injury or harm. Most industrial accidents can be prevented by performing sound safety practices and methods or by providing and utilizing the advanced equipment. Several construction injuries which are caused by heavy equipment or machinery include: fall safety harness protection; scaffolding; exposure to chemicals and hazardous substances; warning lines; electrical high wire or high voltage lines; nail guns; ladders, forklifts and lifts; cranes backhoes and rollers; hoists and derricks; safety devices; and trench cave-ins. Constructions jobs involving the construction of buildings are the most common setting for industrial personal injuries. When a construction or industrial accident occurs, an injury or the development of a condition can be debilitating for the worker, impairing their normal capability to work. Missed days at work or simply the painful symptoms caused by the incident can tremendously affect the individual’s lifestyle. Therefore, seeking immediate medical attention following the construction accident is fundamental. From sprains, strains and fractures, causing temporary disability to spinal cord and brain injuries, the symptoms of damage, injury or an aggravated condition can include: pain and discomfort, irritation, inflammation, swelling and bruising, tingling sensations, numbness, decreased strength, mobility and flexibility, concentration or memory issues and problems sleeping. Individuals who’ve suffered a workplace accident involving heavy equipment and machinery in an industrial setting who are experiencing any of the above symptoms or others should seek help from a healthcare professional as soon as possible. Industrial work settings are among the jobs with the highest incidence of injury, primarily due to disregard of safety when handling heavy equipment or machinery. Construction accident injuries can result in painful symptoms but qualified health care providers can help. A construction accident chiropractor specializes in treating work-related injuries, restoring an individual’s overall health and wellness. For more information, please feel free to ask Dr. Jimenez or contact us at (915) 850-0900.